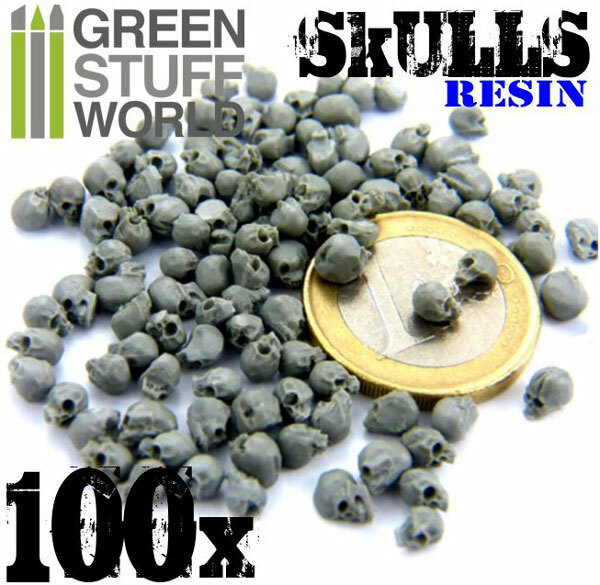 Sack of skulls made of high-quality resin. 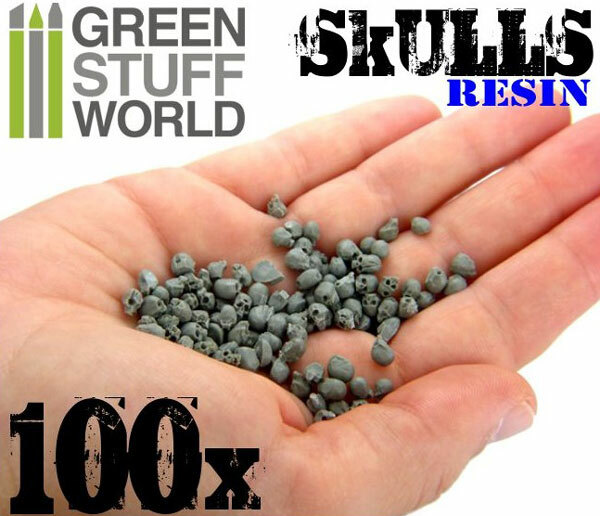 This product comes unpainted and it is perfect for 25-28-35 mm miniatures (1:76, 1:48, 1:35). 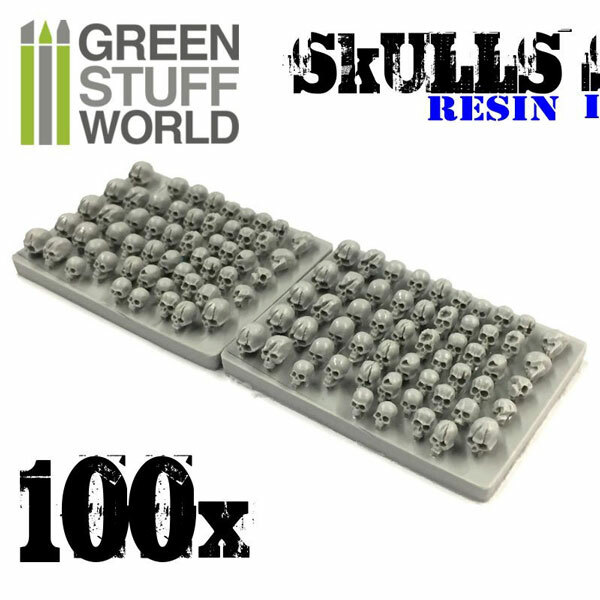 Each sack includes 100-105 resin skulls of loose cast resin skulls randomly selected from 25 different sculpts. Some skulls may have 1 side flat to help when gluing to the bases.